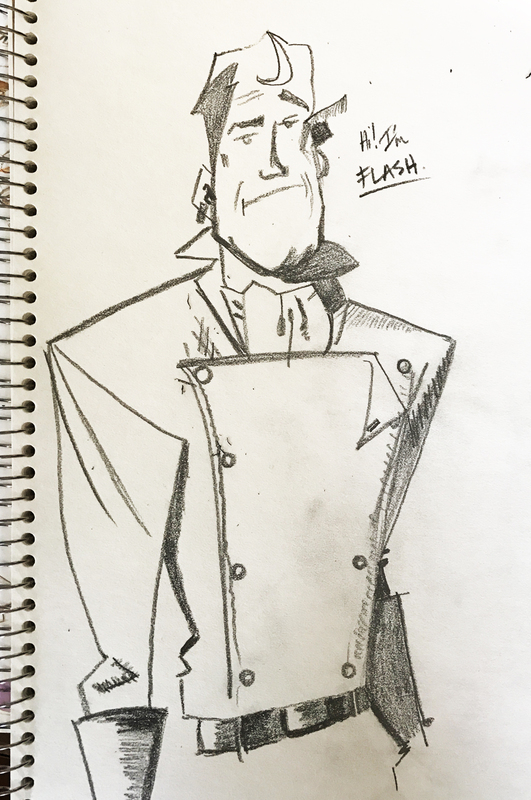 Today, I decided to explore my past by drawing a comic, which I have not drawn in decades. The original can be checked out on my Instagram account: instagram.com/kellistretesky. Follow me there. Flash is my subject for the day. 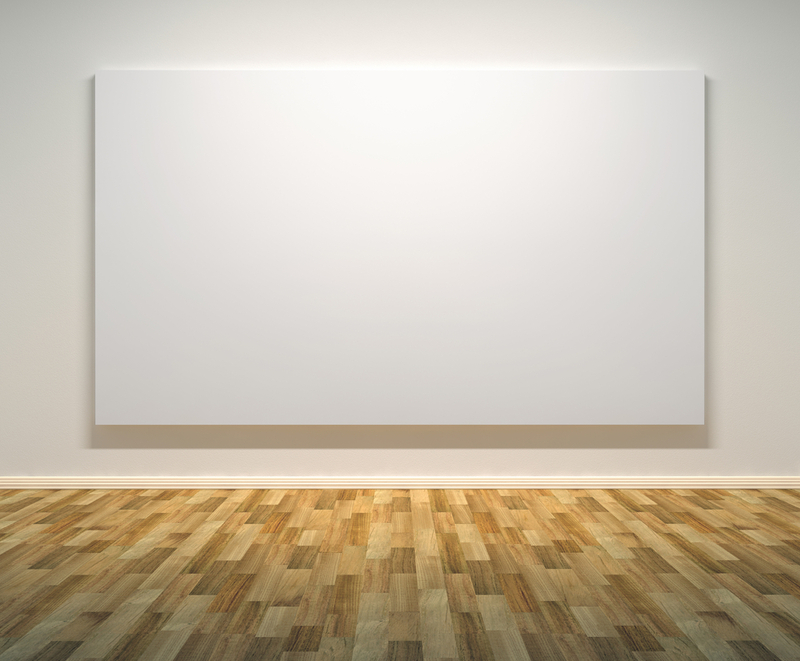 There are many things to consider when you have a painting that you want to keep in good condition. Two of the most important factors are temperature and humidity. When thinking of the environment for your work of art, it is best to think of museums and the lengths taken to regulate conditions to maintain historical works. Caring for Your Paintings is a great article from the Smithsonian Museum Conservation Institute. These experts cover the most important factors into caring, hanging and maintaining paintings. A great read for anyone who owns or cares for fine art. As always, please direct any of your questions regarding caring for your paintings to me. I’m happy to answer. Feel free to contact me here and sign up for the newsletter here. Get this one of a kind piece to make your space extraordinary. The thought provoking Battle With a Joker is loaded with dramatic texture, vibrant colors and lyrical composition. As a dentist, one of the my priorities is to create a comfortable environment for patients so that they may have the best dental experience possible. The best investment I have made has been in some of Kelli Stretesky’s art. I purchased Hundred Years’ War and Sunset-Sunrise in 2012, and we've had nothing but compliments ever since! In fact our patients often take pictures of the pieces to show their friends what “their” dentist’s office looks like… I couldn't be prouder! You can't help but smile when you walk past Kelli’s art, and really nothing elevates your mood like Hundred Years’ War! I’d buy her art over and over again! Kelli Stretesky is an amazingly talented artist and creator of wonderful ideas. We’ve been so lucky to have the opportunity to showcase Kelli’s fantastic work at our show: “The Asbury Short Film Concert” in NYC …doing so made the entire events much more successful. The intricacy and spirit that goes into her work blows us away. Kelli's artwork exudes her personality, full of life and positivity. The work reflects the uniqueness of the artist. She creates a dramatic symphony of color and texture. Wonderful addition to my collection. I am a strong believer in surrounding yourself with sharp, beautiful and powerful imagery. Kelli’s painting hangs prominently at my office, bringing immediate elegance, comfort and sophistication to the environment. In a glance I am captivated by her meticulous attention to detail and amazing sense of color and texture. Not only is Kelli the artist, but she is also a wonderfully smart, fun, curious, scientifically minded, self made entrepreneur. Kelli is unlike all other fine artists I know. I am confident that Kelli will become one of the great artists of our time. Kelli Stretesky’s paintings, whatever their dimension, are a palpable and enchanting presence. I am invariably pulled in by their intriguing texture–rich with an impasto style that coheres gracefully within abstract or whimsical imagery. While radiating one or two dominant colors at first glance, often, upon finer inspection, Kelli’s canvases showcase controlled explorations of color that provide a complex visual reward. I am the happy owner of Kelli’s work titled “Grid Transition” — displayed prominently in my living room. This piece (featuring the base gridline design characteristic of her “Color Block” series) represents Kelli’s acclimation to Manhattan’s geometrical street grid from the Midwest’s wide open expanses. As I too went through a process of adjusting to New York City, this work resonates deeply with me. Kelli’s pure yearning to create meaningful visual messages permeates her art, and animates her personality. I don’t know if Kelli can cook, but her talent has touched my other four senses. I can smell and feel the cool softness of her flowers. I hear the intensity of her abstraction and she draws me in to see the allegory of her work. I have bought a number of Kelli’s works over the years. I have three Color Blocks, and two beautiful sketches and one watercolor that I recently had framed. Kelli’s work is really deep. I have always been attracted to the quality of her work and the passion she puts into each piece. A truly great artist who is dedicated to making fine art with all of her heart and soul. Kelli Stretesky did a piece commissioned for our family in memory of my late husband Jeff Gelona. During Jeff’s illness our mantra was “there will be light”. Kelli perfectly captured the positive spirit of Jeff that everyday we had together was another day in the light with us and then he would travel on to bask in the light of his eternal home. “The Light of Cap” is a family treasure. We used “The Light of Cap” on a t-shirt designed by Kelli for our Team Gelona shirt in our local A2A marathon for the Mercy Cancer Center in Ardmore, OK. There was a sea of shirts with the warmth of Jeff’s light from her design on marathon day. Our family is blessed by her great talent. A few years ago I walked into Kelli’s studio and saw a painting in progress. I fell in love with it so I bought it how it was — “Incomplete”. I never tire of looking at it. The textures and colors she uses give her art a third dimension that begs a closer look. Being into photography and lighting, I find it easy to get lost in her textured works as the light changes around it. I count myself lucky to have two of her pieces…they are proudly displayed where I can see the light affect them differently throughout the day. Every time I see a picture of a new piece that has sold I wish it was me who found it first! I am the proud owner of nine of Kelli’s paintings, which include color blocks, flora, and even a large piece. No matter how big or small, each work has a story to tell. To me they are calming, thought provoking, and beautiful to sit and look at. I am always finding new things in them that I didn’t notice the first, second, or hundredth time I looked. Having had the opportunity to visit Kelli’s studio, I can easily see her passion and devotion to her art. Kelli is just as extraordinary as her work, and makes it simple and enjoyable to own some of her masterpieces. It is impossible to not find something that you are immediately drawn to. Kelli ensures that each is entirely unique, slowly and carefully crafted until they are just right, making these so special. Wow! You are going to feel that punch of awe -right through your very center- the second you walk into Kelli’s studio. Brilliant color, amazing creativity and an abstract wonder that meld into a sensation you will crave long after you leave. Sheer harmonious “Lawlessness”, that’s what Kelli has created. You will be back, because you will HAVE to own one. 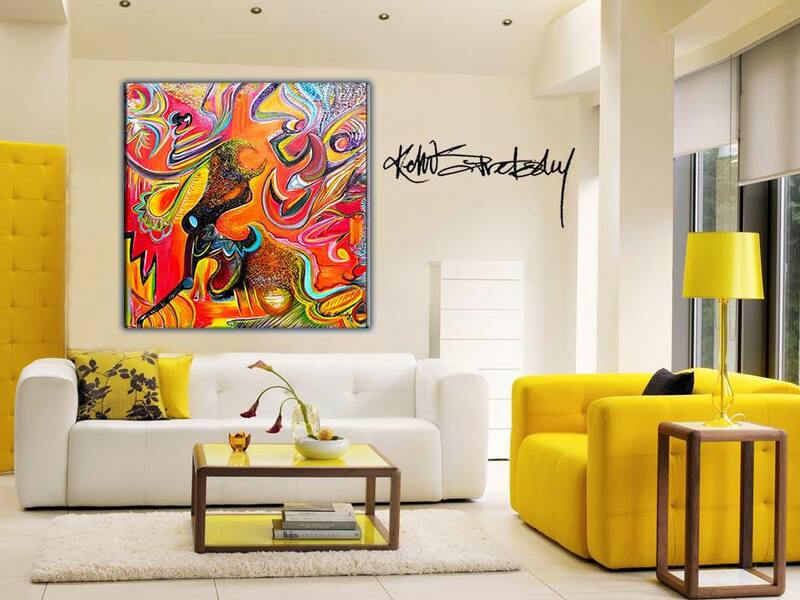 Roberta Flack’s song “Killing Me Softly” describes what I felt when I first viewed Kelli’s work. “Jungle” pierced my soul as it perfectly portrayed my life with its bold colors and intersecting brush strokes. Kelli’s vision transcends that of most of us. She holds a treasury of experiences and ideas that comes from far beyond her own experiences. The gift of her diversity gives her the ability to paint something for each of us. When you discover yourself in her work, there will be a visceral reaction.. The highs and lows of the human journey are found in the quality of her rich brush strokes, and rainbow of techniques. Words fail to convey the sculpted, oil paint, arrangement that can only be fully appreciated through her original work in person. Travels have taken me to every continent except Africa. Personally, I have visited most museums of Europe, and North & South America seeing the gamut of ancient to modern art. I have stood before Renoir, Monet, Manet, van Gogh, Vermeer, and other world masters. Honestly, the depth of Kelli’s work is unmatched. No artist sees my soul as Kelli does. Her work has me returning over and over. Now having collected a second, and third of her paintings, I anticipate they will not be my last. “Storm”….a truly inspirational piece by Kelli Stretesky. When I first set eyes on it, I felt a connection with the painting that I have felt with no previous painting in my life. I immediately saw a sailboat, seashell, and bird’s wing in an image as if it were from a dream. That was the beginning. I soon realized this was only one perspective. When rotated, the viewer has the opportunity to see deeper into many different worlds. Whether it is filled with snow-covered mountains, cliffs, or a sea, this painting is as abstract, unique, and beautiful as the painter’s technique. My connection to this painting was so strong that I knew I had to have this painting as the first one on my wall. After having the honor of purchasing “Storm,” I was blown away when I opened the package. The level of detail and texture was amazing. It wasn’t long that I realized this was no ordinary painting but rather a work of art. The mountains that were once in two dimensions transformed into ridges and canyons that begged to leave the canvas. Again, a new world presented itself along with new possibilities. I took the opportunity to photograph “Storm” using my macro lens. WOW! Each photograph quantifiably confirmed what I already knew and that “Storm” is one of a kind. In the end, no compliment does “Storm” justice. While beauty can easily be seen in a picture, in the end a personal viewing is required to see all of the dynamic characteristics and hard work that Kelli Stretesky puts into every one of her endeavors.